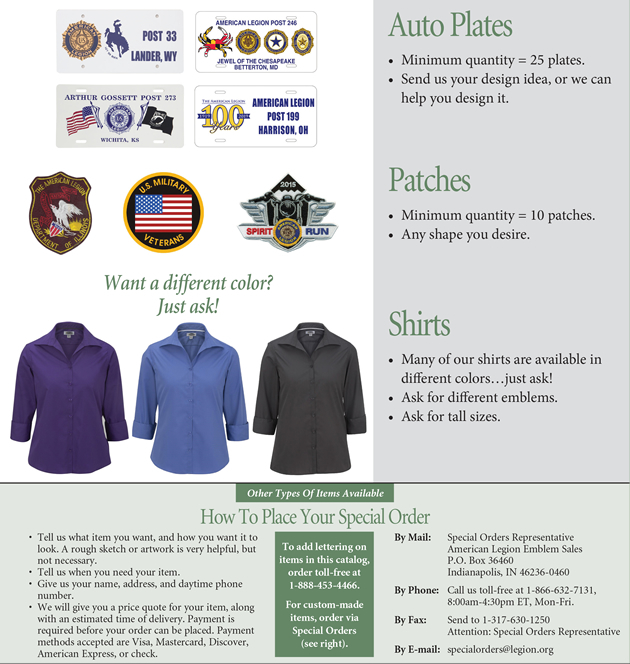 Need something customized? 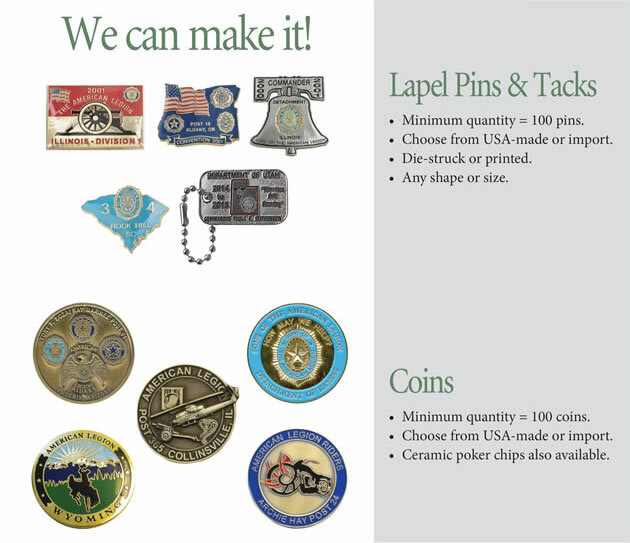 We can make just about anything for your special occasion, including pins & tacks, coins, auto plates, apparel, flags & banners, patches and more. Take advantage of our buying power to get exactly what you need at a very affordable price. Take a look at some more samples of our work. 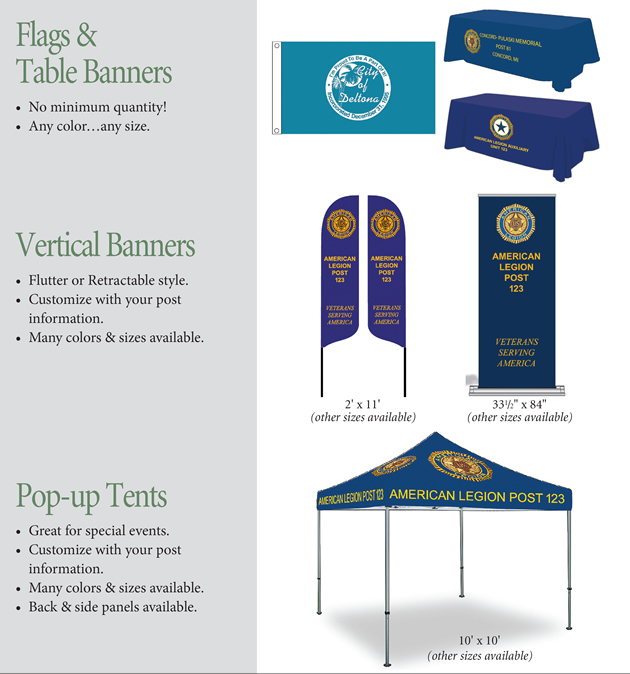 →Also available: Design your own Centennial items for your local 100th anniversary celebration! Contact us and let us know what item you want, how you want it to look, and when you need it. A rough sketch or artwork is very helpful, but not necessary. Include your name, address, and daytime phone number. We'll send you a free quote and an estimated time of delivery. Payment is required before your order is placed. We accept Visa, MasterCard, Discover, American Express, and checks. Want to have something produced locally using the Legion family names or emblems? Fill out this form, which will be submitted to your Department Adjutant for approval.